In recent years, the relationship between the durability and the degradation of concrete irrigation infrastructure has been discussed as a technical problem. 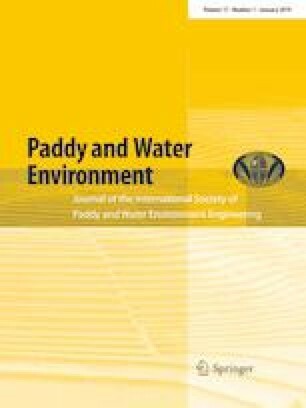 In this study, the development of a damage estimation method for deteriorated structures will be performed by applying the acoustic emission method (AE). A quantitative damage evaluation of concrete that involves applying AE and damage mechanics in a compression test has been proposed by the authors in RILEM TC-212ACD. The procedure is named improved system for damage estimation of concrete by acoustic emission technique (i-DeCAT) and is based on evaluating detected AE energy trends in core tests. Prior to the compression test, the distribution of micro-cracks in a concrete-core sample is inspected by helical X-ray computed tomography. Then, freeze–thawed damaged samples are tested by the compression test. Thus, it is demonstrated that the concentration of material damage could be evaluated by comparing the geometrical characteristics of cracks with the “energy rate” of AE generation, which is analyzed by AE parameter analysis. A relation between AE energy rate and damage parameters is correlated, and thus the damage of concrete is qualitatively estimated by i-DeCAT. This research was supported by KAKENHI Grant Number 15H04566 from the Japan Society for the Promotion of Science (JSPS).